Beatrice Zook knows God wants her to learn patience toward others. When assisting a family overwhelmed by triplets proves surprisingly successful, her confidence in dealing with others, both young and old, grows. One person she’ll never be able to find peace with though is Ben Rupp. They’ve known each other forever, and Ben understands precisely how to antagonize her. What neither she nor Ben will admit is that beneath all their bickering, attraction awaits. When friends decide to try and bring the couple together, will the pair be able to find true love? Or will they damage their relationship beyond repair? Leslie Gould is a fabulous writer. It took no time at all for me to be invested in the story and invested in the people. Whenever I sat down to read the novel, I read far more than I had planned. Not to mention, that when some authors write about the Amish, it’s not unusual for me to put the book down and think what a strange group of people. But when Ms. Gould writes about the Amish, I think they are just people who live Amish. Being with all the familiar characters again. Because it’s the fourth book in the series, I felt like I was familiar with just about all the people and it was good to interact with some of the characters again. I will admit that I have not liked Bea much in the other books, but I wanted to see if the author could make me like her. Though it took a while, I did find myself rooting for Bea in the end (however, there was one thing Bea said that as a reader made no logical sense to me and I just realized I wouldn’t ever completely understand Bea). Spiritually, the novel deals with pride and how pride can really destroy relationships if you let it. The romance. I had been really looking forward to Ben and Bea getting together because they were always arguing, and I thought it would be cute to see them together. The problem, for me, was that pretty much the whole book they still argued. 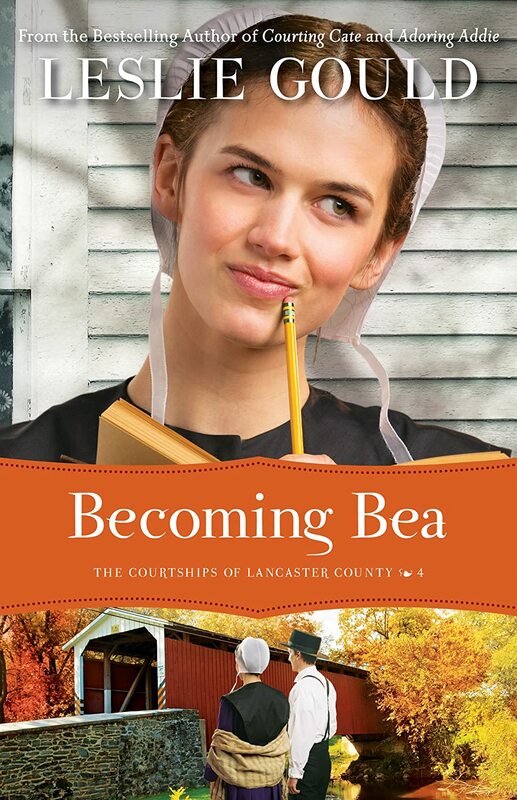 At first, I really liked Ben and was irritated with Bea, but then I started to like Bea and was irritated with Ben….I wasn’t sold on their romance. They were too much into themselves and not enough for the other person. Overall, the writing was very good and I definitely wanted to finish the book and know what happened in the end. However, when the novel was finished, I was just confused, and honestly I think the characters might have been too.